A bigger top line does not necessarily translate to bigger average revenues per partner, a recent study reveals. The Australasian Legal Practice Management Association (ALPMA) and accounting firm Crowe Horwath found in their sixth Financial Performance Benchmarking Study of Australian Law Firms that law firms that generated revenue of $5m to $10m had the largest average revenue per partner at $1.46m, despite a decrease from last year’s $1.6m for the same class. These firms were followed by peers in the over-$20m revenue band, with average revenue per partner of $1.38m, down from $1.47 in the previous year. Firms in the $10m to $20m band recorded $1.35m, up from $1.34m, while firms with less than $5m in revenue tallied $1.15m, up from $1.11m in 2015. “Firms have their financial fundamentals in place. Revenue per partner has increased to $1.3m per partner, and fees are being converted to cash faster,” said Andrew Chen, Crowe Horwath partner and leader of the research team. A majority of law firms surveyed, at 70%, are optimistic on growth, with an average 10% growth target on the year due to better cash flow and financial performance. The target is evident in hiring and investments in areas such as technology. The study found that 92% of respondents expected to hire in the next year, with 36% specifically hiring for growth. It also found that 30% of firms are investing heavily in technology, including for digital disclosures, client portals and live chat, cloud technology, and practice-management systems. “This is an important turning point for firms. Growth and sustainability in firms is not an outcome of cost savings. There are many indicators in the market which show firms having success when they pushed forward to differentiate and prepare for future opportunities,” said Andrew Barnes, ALPMA president. In addition to growth, firms are planning to hire due to succession planning. On average, most firms that participated in the survey have been practicing for almost 40 years, with most firm partners between 40 to 50 years old. However, nearly 40% of surveyed firms said that they expected partners to retire in the next year and a half and planned on appointing new partners as a result. 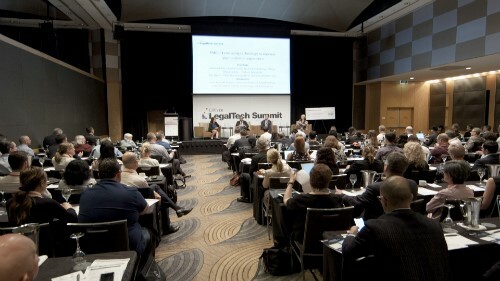 “Based on our research, it is clear that legal firms believe managing this succession is a major disruptor for growth. On top of this, gender balance is still an issue across the legal sector, with only 22% of partners being female,” Chen said. Despite heavy investment in technological innovation, 90% of law firms have not and do not plan on changing billing methods. The study also found that hourly rates and fixed fees are still dominant in the billing structure, with 70% of all billed fees coming from hourly rates. Law firms, however, had a stronger focus on overheads, which boosted average profitability across all firms to 18.8% from 16.9%. Most bands experienced a slight dip in gross profit, with the $10m-$20m band experiencing a small bump of 2.7%. “Understanding margins and how they drive firm profits is becoming more of a management tool than pure statistical outputs from practice software. Many factors influence a statistical analysis, and one lever may work for one firm but not another. What is universal, however, is that all of the stats still need to transform into numbers on a P&L, and the high-level gross margin is the first real indicator of profit,” Barnes said. The study, which used Crowe Horwath’s proprietary benchmarking tool Open Measure, which allowed participating practices to compare their firm to others, surveyed 84 Australian firms. Of all the firms surveyed, 36 were either national or international firms. Which law firms are the most profitable?